Racehorses at 3 or 4 years old have reached their competitive prime; afterwards they are no longer profitable. Gambling increases the pressure to replace horses with younger, faster stock. Even healthy young racehorses are killed because there are not — and never can be — enough solutions for retirement. This inherently cruel situation means that the "Sport of Kings" is simply a bloodsport. Racing in Macau — Israel's Future? "They import hundreds of horses every year. Where do you think all those horses end up?" 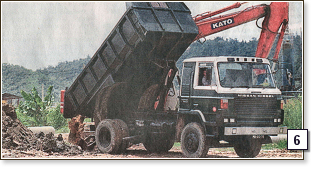 These photos are from an exposé published in June, 2002 by the South China Morning Post, Hong Kong. 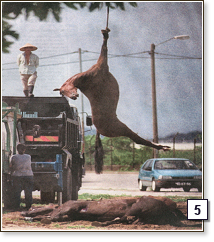 They show horses being shot in the head, one after another, on the grounds of the Macau Jockey Club racetrack, then loaded onto a truck and dumped at a landfill. This exposé demonstrated that even healthy horses as young as four years old are killed continuously, week after week, as more competitive replacements arrive. A similar situation will almost certainly exist in Israel if racing on a large scale is introduced. As a horse gets older, he is less profitable, injured or not. The Macau track has only about 1,000 horses, but even with only 1,000 horses, at least 300 are replaced each year. Most of those 300 are killed. Therefore, it doesn't matter that Israel says it will import "only" 2,000 horses. 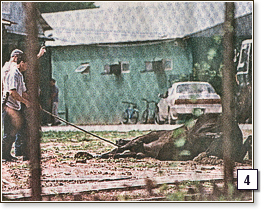 To have a viable racing industry, Israel will have to continuously import more horses and kill the less useful ones. This culling is unavoidable. In larger countries with many tracks, horses are often traded from one place to another, and there are options such as retirement or private ownership for sport riding. But even in large countries, these options are not available for most of the horses. In tiny Israel, only death, or a downward spiral of abuse and then death, will be the fate of the vast majority. "What matters is the fact that no provision has been made by either the Macau Jockey Club or the horses' owners to cater for horses that are healthy but uneconomic." Even within Macau's successful racing industry, which brings in profits of 40 million dollars a year, greed is the defining characteristic. 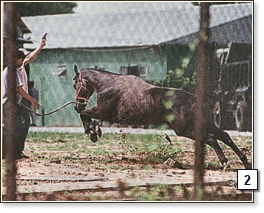 To save a few dollars each time, they shoot the horses when culling them instead of using a euthanasia injection. 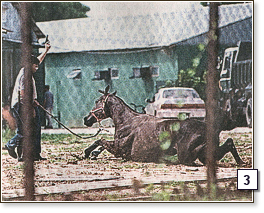 At first the Jockey Club claimed they killed the horses with a lethal injection. Only after the undercover photographs exposed the shooting did they finally admit the truth. All the vets on the racetrack do this killing on a rotating basis, so the vets have all become complicit. At least some horses are killed every week — each Thursday. The vets say they have no options because of the difficulty of finding retirement places. Retiring the horses would cost money. It isn't even the amount of money that's the issue, but any cost at all. Horse owners prefer simply to condemn their non-profitable horses to death. 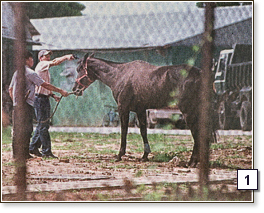 The South China Morning Post exposé also covered the racetrack in Hong Kong, which is a much larger operation. Horses are killed there too, rather than retired, but they do it away from the road, so the killing cannot be witnessed and photographed. Why can anyone claim will it be different in Israel, where there is certainly no support system for horses, where the water situation is meager, and where there is virtually no available grazing land?